Oh Hey Friday~~It’s Almost St. Patrick’s Days!!! 3// Because you can dye/spray paint your hair a super bright shade of green and dance with a leprechaun and totally get away with it…especially if you are in your 80’s like my amazing grandma! 4// Because not only can you dress yourself up in all green, but when you have a family you can also dress them up in all green! 5// Because my crazy family loves the day just as much as I do and we have the BEST time together dancing, singing, drinking and celebrating! So there you have it…five reasons why I LOVE St. Patrick’s Day and I cannot wait for Tuesday…but I must get through this weekend first which will be full of birthday parties and practicing my St. Patty’s Day nails… hope you have a great weekend too!!! 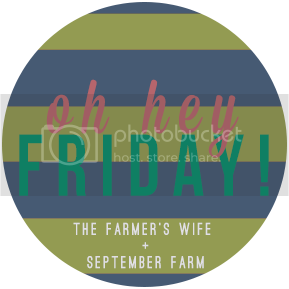 And today I am linking up with the gals from September Farm and The Farmer’s Wife. As I have mentioned before, this winter…especially the last month…has been sooooo boring. Staying inside all day with a toddler leaves you trying to figure out fun things to keep them busy. I know I am stir crazy so I can only imagine Ellie is too. This mama can resort to exercise/reality tv/reading a good book/blogging/wine…but poor little gal can’t really get into much of that. I came up with a few activities for Ellie to keep busy and I thought I would share them with you. 1// Pom Poms: My parents got Ellie a sand table for her birthday and it has obviously been waaaaay too cold to play outside…and I am not even about to put sand in that thing in my living room…sooooo, enter pom poms. I filled the table up with these fun, brightly colored balls and added in some play bugs and other little toys and Ellie LOVES it (as does my dog and cats…so random) This was such an easy thing, mess free and super inexpensive (assuming you already have a sand table…you could use a plastic under-the-bed storage container too). I just bought the bags of pom poms at Hobby Lobby for like $3 a bag, the sand toys came with the table. The bugs are Melissa and Doug, and I threw in a paper towel cardboard thingy too. 2// Plastic stacking cups: I totally realize I am not even cool or unique for coming up with this idea…millions of people use these things…but just in case you forgot about them, they are a fun toy to keep the kiddos busy for a bit. For some reason Ellie cannot stand for these things to be stacked…she literally will knock them down in two seconds if she sees that you stacked them…weird, but I just go with it. She also likes putting things into the cups and dumping them out, i.e. play bugs again. 3// Scarves and Ribbons: For whatever reason this kid loves herself some scarves and making ribbons into scarves. I finally gave in to this new love of hers and filled a plastic bin with different scarves and ribbons and she goes to town pulling them out and playing with them. Such a random but easy and cheap thing to keep her busy! 4// Magazines: So, I have a slight obsession with magazines..no big deal…but now this said obsession is actually good for something other then letting me know what the Kardashians are up to every week. Ellie LOVES ripping apart the stupid things. She could sit there for a good while just ripping and ripping. It does make a mess, but nothing terrible or hard to clean up. I give her a few and let her go to town. Just make sure they don’t start eating the paper, little monkey has definitely done that a time or two so watch for that. 5// Blankets: Ok, so this one is a little random and requires more parent involvement, but Ellie loves playing with blankets. The fluffier the better. She thinks it is so funny to play peek-a-boo…or just hide under the blanket…or cover mommy with the blanket…or get wrapped up in the blanket…or take a second and cuddle the blanket. 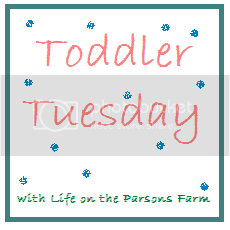 So there you have it…five things you can do with your toddler while stuck inside during the cold/rainy days. I didn’t have the chance to blog very much last week so I figured I would catch you up with all of the super cool things we did via a photo dump. Although that sort of sounds disgusting as I type it…it is actually a thing people in the blogging world do. We started mastering the art of smiling during pictures (selfies…if I don’t take pics of me with Ellie no one else will and I will have none) As well as duck lips (she is seriously teething right now, so I think she is making this face for comfort…hilarious no matter what) and looking EXTRA cute at nap time. We watched a movie…she has become more and more obsessed with her little Pottery Barn chair and it is the cutest darn thing ever to see her sitting there like a big kid! and last but not least my favorite picture from the last couple of days. We travel to Granville every Thursday for a kids music class called WeJoySing. It takes us about 40 minutes to get there…I realize this might seem crazy but she LOVES the class, it gets us out of the house for a bit, and I don’t mind the drive once a week. At any rate sometimes I have to change her diaper when we get there or before we leave and I haven’t found a changing table thing there yet (it is in a church, so you would think there was one!) Usually I just take her into the extra room and change her on a table…well this specific day people were in that room so I had to take her into the bathroom with me. These are things that I never worried about before I had a kid…you don’t think about these things, why would you?!?! Anyways, my only option was to change the poor gal on the floor in the bathroom. Thankfully our diaper bag has a little pad attached that she could lay on so she didn’t have to be directly on the gross floor. I had to snap a picture because the whole thing looked hilarious and ridiculous and the fact that she just didn’t care AT ALL was even better!!! Our weekend was nothing too crazy…but this week has a lot in store. I am getting my hair done tomorrow (big changes)…I am working on our St. Patrick’s Day gear…iron on shamrocks, etc etc…I am planning out my nails for St. Patrick’s Day-DUH (watch for that on Beauty Wednesday) The hubs gets a C-Pap machine(for sleep apnea and snoring)…hello good night sleeps, hopefully…and we are attending a fundraiser event for the local animal shelter society called, Yappy Hour…how great of a name is that?!?! Hope your week is amazing!! I have been trying, since we moved in, to figure out how to organize our office. It currently houses my desk, the hubby’s desk, two bookshelves and the giant dog crate. My goal was to have this also be a space for Ellie to play while I work on things during the day…so a play space is key. For the life of me, I could not figure out how I wanted this room to look!!! I searched pinterest and tried to figure out how to fit everything into the room in a way that still allowed Ellie plenty of space to play and explore. I think I have finally come up with something that works…at least for now. Eventually it will have to change to accommodate Ellie’s interests, but for now I think it works pretty well. We added the floor squares for her to play on and the butcher block table we ended up not needing for the kitchen, so it got added in too. (it works great for me to cut fabric and make bows) Disregard the lovely curtains…they came with the house and we haven’t changed them yet. We plan on painting this room eventually as well. I strung Christmas lights on the ceiling above her play area and she loves them the older she gets. And on the left side of this picture you can see Joe’s side of the room…I tried to maintain a space for him too! She LOVES playing with Reggie’s crate. and this poster is also a favorite! It took me awhile to pull my shiz together and figure out how to organize this room so that we could all have a space and it wouldn’t look like a tornado came thru. I am pretty happy with the way it turned out and I love that Ellie can play and explore the room safely and I can be working on the computer right next to her. Next project: to finish the kitchen/dining area….the wallpaper is finally almost down (another story for another day) and the paint color is picked out. Hopefully soon I will have another update on that, but until then happy Tuesday!